After the end of the war, the contribution made by the Indian Army was seen as crucial in defeating the enemy, and two monuments were erected in recognition and appreciation. The first of these, the Chattri Memorial, was built on the Downs near Patcham to honour the Indian soldiers who made the ultimate sacrifice. 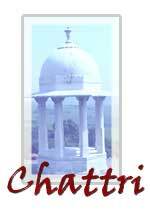 The Chattri, which means umbrella in Hindi, Punjabi and Urdu, was designed by E.C.Henriques from Mumbai. The dome and its eight pillars are built from white Sicilian marble. Three large granite slabs lie over the original concrete cematory bases. The design symbolises the protection offered to the memory of the dead. 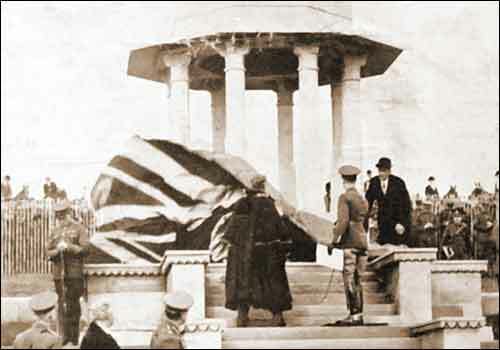 To the memory of all the Indian soldiers who gave their lives for their King-Emperor in the Great War, this monument, erected on the site of the funeral pyre where the Hindus and Sikhs who died in hospital at Brighton, passed throught the fire, is in grateful admiration and brotherly affection dedicated. After some years of neglect, the Patcham branch of the Royal British Legion resurrected the pilgrimage in 1950. They established and continued with this annual tradition until 1999. 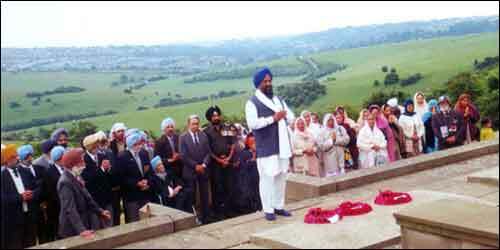 In 2000, responsibility for organising the memorial service passed on to a local Sikh teacher, together with the Undivided Indian Ex-Services Association. The service is attended by the Mayor, the Chief Executive, the local MP, city councillors, representatives of the British armed forces, the Indian Army and veterans of the Undivided Indian Army, the Royal British Legion, the police, and local people.